I know you’ve heard the names John D. Rockefeller, Andrew Carnegie, and J.P. Morgan, but what about Hetty Green? Hetty stood as the lone woman among the titans of the Gilded Age, and upon her death in 1916 she was worth $100 million. This sum was roughly equivalent to 1/500 of U.S. GNP at the time, placing her 36th on the list of the 100 wealthiest Americans ever and the only woman in the top 100. For comparison, John D. Rockefeller, the richest person in U.S. history, had a net worth of $1.4 billion in 1937 (or 1/65th of U.S. GNP at that time). Hetty’s deepest personal finance lesson is also what made her famous—her extreme frugality. A woman who was worth tens of millions of dollars embraced none of the luxurious lifestyle that her counterparts became famous for during the Gilded Age. In fact, Hetty’s lifestyle was about as far from opulent as I can imagine. When her clothes got soiled, Hetty only paid for the dirty spots to be cleaned. When she got sick, Hetty would put on a disguise and head to the free clinic. When it snowed, Hetty walked instead of hiring a private car. There is even an incredible story about how Hetty once spent hours looking for a 2 cent stamp she had misplaced after a long carriage ride. This extreme frugality was a financial blessing for Hetty because it allowed her to save money throughout her entire life. This is a tip I have preached over and over on Of Dollars And Data because if you can’t save money, your investment returns won’t matter. However, Hetty’s frugality did have consequences. She was given the nickname, “The Witch of Wall Street,” and the Guinness Book of World Records referred to her as “The World’s Greatest Miser.” This may be one of the reasons why she is less well known than her Gilded Age peers. More importantly though, Hetty’s frugality made her value money over time, at great cost. There is a rumor that rather than seek immediate medical attention for her son’s injured leg, she initially took him to a free clinic to save money. In the end, her son’s leg had to be amputated for something that might have been avoidable. Frugality can be a curse, but it doesn’t have to be. Along with her frugality, Hetty was known for investing in conservative investments (i.e. mostly bonds and real estate) . She purchased U.S. bonds from 1865-1867, a time when the Civil War was still fresh in the public’s mind, and routinely provided loans to borrowers and kept the underlying land if they defaulted. By being conservative with her money, Hetty was able to weather panics and keep buying when everyone else was selling (especially at distressed prices). This is why I recommend a minimum allocation of 15% to bonds (and at least 6 months of emergency savings) for even the youngest and most risk seeking investors. Prospect theory teaches us that losses feel twice as bad as gains feel good, so the extra return you get for owning more risky assets won’t be worth the increased probability of panicking and selling at a loss. However, please consult a financial advisor to find what is right for you. I always try to deal justly with everyone, but if anyone wants to fight me I’ll give him all the fight he wants. This helps explain why Hetty may not have been well liked, but it also explains how she didn’t let anyone push her around or influence her financial decisions. Hetty’s example provides an incredible lesson for your finances: invest on your own terms. Your finances are unique, so there is no reason why they should be like anyone else’s. Remembering this truism will prevent you from chasing the next hot stock (or asset class) and making financial mistakes. You should have a personalized financial plan and you should stick to it. Despite her reputation as a cheapskate, Hetty could be generous with her money at times, but not in a public way. She was known for lending money below market rates to help those in need and gave money to families on occasion. Could she have been more generous? Of course. However, her generosity was private and 100% real. She never wanted recognition for her good deeds, which is a lesson for us all. There are times when large donations can inspire others to donate as well, however, don’t do something just to virtue signal—donate quietly. In the end, Hetty Green will go down as one of the best wealth managers in history. She knew how to invest and played her financial cards right throughout her life. Unfortunately, when Sylvia Green, Hetty’s daughter, died on February 4, 1951 (roughly 35 years after Hetty), her estate was scattered amongst over 150 different individuals and institutions because there were no heirs to the family fortune. In a cruel sense of irony, the money Hetty had spent her entire life building and protecting ended up in the hands of institutions that Hetty would have despised. 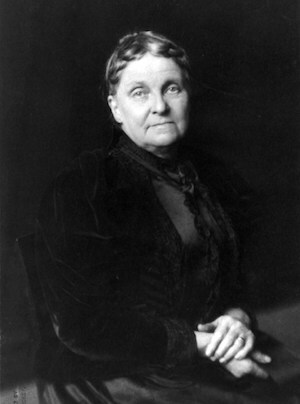 If you are interested in learning more about the life of Hetty Green (where almost all of the information for this article came from), check out Hetty: The Genius and Madness of America’s First Female Tycoon by Charles Slack. Thank you for reading!